All living things have lifespans, including the trees that shade our yards and public parks. As well, trees are cut down in urban settings because of roadways being widened and buildings being built. Traditionally, when these urban trees have been felled, their remains are turned into mulch or, worse yet, hauled off to a landfill. In his 2003 book, Harvesting Urban Timber, author Sam Sherrill estimated that three to four billion board feet of lumber from urban trees in the United States, more than the lumber needed to build 200,000 average-sized homes, winds up, directly or indirectly, in landfills every year. Since the early 2000s, scores of urban wood mills and woodworking facilities have cropped up across the US. They are taking urban felled trees and turning them into furniture, lumber, or other useful items. Sherrill, a retired university lecturer on statistics and economics and a life-long woodworker, has written that wood harvested in urban centres lessens the demand for large-scale logging, which can have negative ecological effects. And as the wood of urban timber is harvested and used locally, its carbon footprint is less than that of forest-harvested wood. Vibrant Cities Lab, a creation of the US Forest Service, American Forests, and National Association of Regional Councils, points out that when trees are mulched or used as firewood, their carbon is returned to the atmosphere. Turned into a useful item, the carbon of the wood is sequestered for the lifetime of that object. The economic and environmental benefits of urban timber are enhanced by the approach taken by many urban timber practitioners. 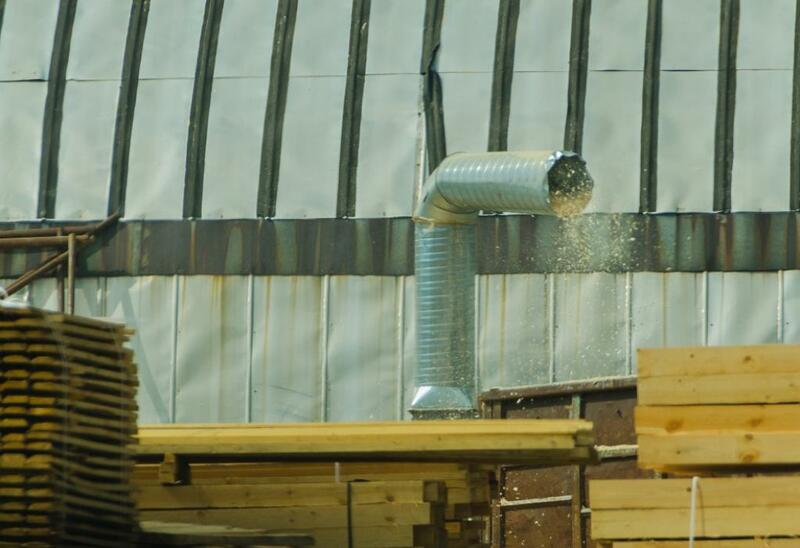 Cindy Siewert, a co-owner of Wood From the Hood, a Minneapolis-based maker of fine wood products from urban trees, explains that their facility makes use of the entire tree. This includes using what is termed sapwood, the living outer rings of a tree that enclose the denser, drier heartwood. Across large sections of the US many trees are dying because they have been attacked by the introduced emerald ash borer. When these dead and dying trees are harvested for traditional commercial use, the portion of the tree where the Asian insect has tunneled is discarded. Siewert believes this wood is valuable. “The tunneling adds character to the wood,” she says. Aiding in the development of urban timber are portable sawmills, machines powerful enough to cut logs into lumber but small enough to be moved to urban sites where moving logs is inconvenient. Portable sawmills have been around for a 100 years, but their potential for use in more urban or unusual sites dates back to the 1970s, a time of increased environmental awareness in the US. Academia has become part of the urban timber movement, with schools in the state of California leading the way. In 2000, Palomar College in San Marcos, California established an urban forest wood products facility, complete with a wood-drying kiln, as part of their Cabinet and Furniture Technology Department. Urban wood is part of the California Polytechnic State University or Cal Poly’s Urban Forest Ecosystems Institute, and San Diego State University sponsors an urban logging video series as part of its extended studies programme. The movement has attracted a wide array of enthusiasts with varying backgrounds. Dan Herbst had originally trained as a painter and sculptor. His life partner and business partner at San Diego Urban Timber, Jessica Van Arsdale, is a credentialed holistic health practitioner. The exotic woods that they harvest from southern California have beautiful and intriguing grains and colours. The locally harvested eucalypti and coast live oaks provide dramatic streaking and grain patterns. Most municipalities legally restrict the uses of the trees cut down within city limits; by law, the felled trees have to be mulched or go to the landfill, but many of the roadblocks to the use of urban harvested timber are coming down. San Diego Urban Timber is now working on a pilot programme with the Friends of Balboa Park to harvest trees from a100-year-old redwood grove in Balboa Park, San Diego’s large municipal park. Due to long-standing drought, the entire redwood grove is dying. The city is replanting the area with Torrey Pines, a pine that grows exclusively in San Diego County. Besides the redwood trees, black acacia and eucalyptus trees may soon be included in the harvesting plans for the park. The programme is part of the ‘Trees to Treasures’ programme, a partnership created in 2018 and one of the first such programmes of a US municipal park.